Today we discussed how to write chemical formulas, and what the numbers associated with a chemical formula mean. 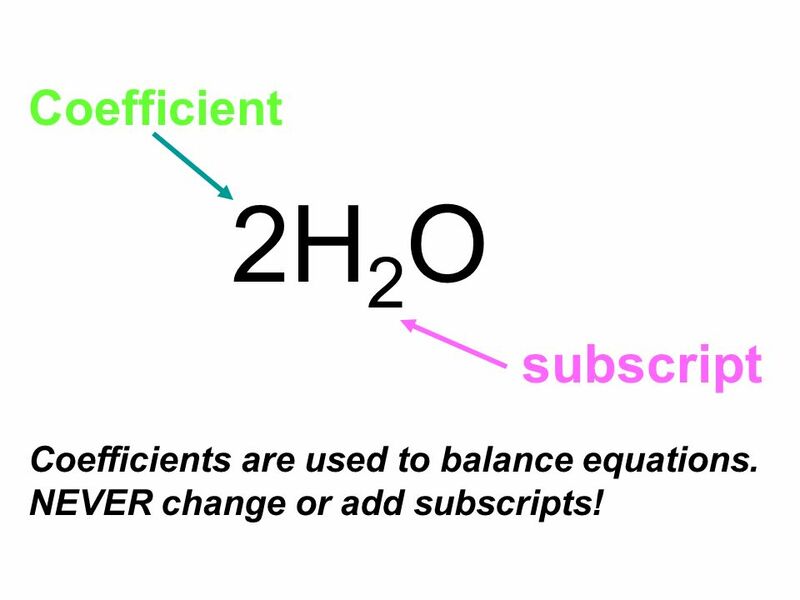 Coefficients are the big numbers in front and are distributed to the whole molecule (which means you may have to multiply). Coefficients tell you how many molecules are present. Subscripts are the little lower numbers and they indicate the number of atoms and only apply to the atom it is to the right of. Subscripts tell you how many of each atom are present. Students wrote their name as a chemical compound and thought it looked pretty interesting. Some students have long formulas, other short. We then led into counting atoms for real chemical formulas using subscripts and coefficients.